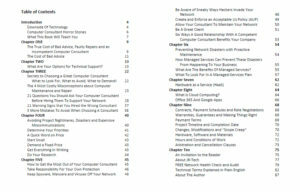 Get the definitive book for business owners to know about IT computer support and managed services! “I think it’s about time someone finally got it right. That’s why we are committed to delivering fast, affordable IT support for businesses who just want IT problems handled quickly, correctly with respect and accountability. 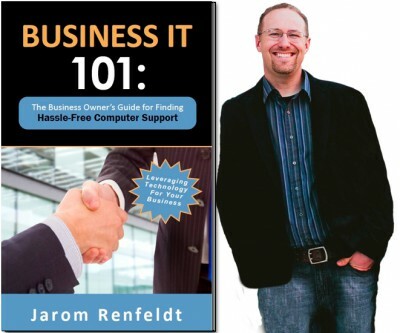 Get your free copy of the definitive book for business owners. 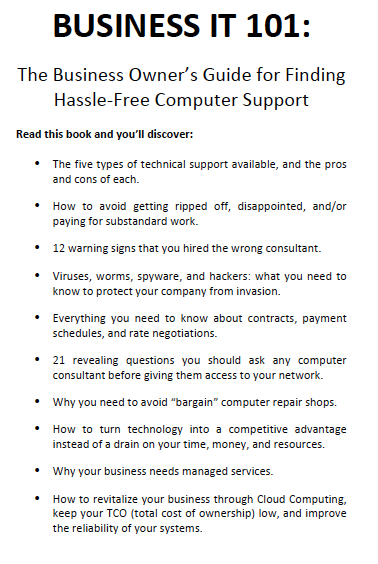 Business IT 101: The Business Owner’s Guide for Finding Hassle Free Computer Support. Available in soft cover or audio! Audio version read by Curtis Russell. 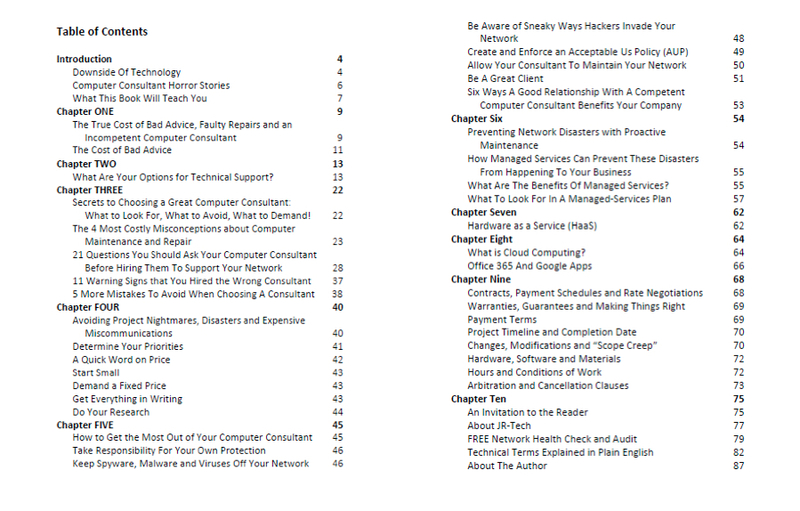 To get your FREE copy of the book, call JR-Tech today at 951-319-4040.